We always deliver the truth, no matter the consequences or implications. Our thirst for knowledge leads us to ask the hard questions, and that’s the first step to right answers. We focus on knowledge transfer to your employees by developing written procedures and training. After our initial engagement, you’ll want to keep us around as board members or advisors. Experience operational and financial leader with 38 years business experience that can work in a difficult turnaround environment. Provides leadership with a difference, by focusing on a bottom up approach. Leadership style is focused on smart systems and competent people. Mentors, coaches and leads subordinates and organizations out of their comfort zones to achieve success beyond expectations. Specialties: Profit enhancement, cultural changes, turnarounds, process improvement, ERP implementation, Advanced Excel Modeling and Macro developer. Sales management, product category marketing, new product development. 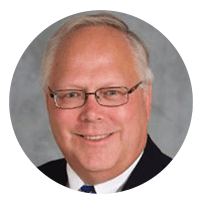 David has 30 years of financial management and operational experience working as a CFO and Director of Finance and Administration for businesses ranging from closely held start-ups to Fortune 500 divisions. David implements the EOS process – developing Organizational Clarity, Financial Discipline, and Operational Excellence. David has implemented Lean and Six Sigma disciplines in a variety of organizations. He has successfully selected and implemented and re-implemented a variety of ERP systems for manufacturing and distribution organizations. 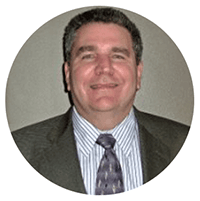 David’s diverse industry experience allows him to analyze all aspects of the business to identify problem areas and develop solutions that work. His understanding of finance and operations allows him to develop the financial systems to support the company’s operations as well as metrics for management. He possesses high-level skills in strategic business planning, establishment of operational/financial controls, transaction structuring, systems integration, human resources, and risk management. David has years of expertise in developing financial forecasts that have been used to raise capital and support business plans.